4.1	Mallory & Irvine�s ascent to 8500 m/28,000 ft.
4.2	Mallory & Irvine�s ascent beyond 8500 m/28,000 ft.
4.3	Climbing the Second Step � Is the Mystery finally solved? Mallory, Irvine & Odell at C 4, preparing for final summit attempt (Norton 4, p. 124). Somervell descending from C 4 to C 3 in the afternoon, arriving 5:30 p.m.; next day down to BC (C3 diary; Norton 4, ibid.). Also 1 tin Mixed Petrol & Oil from dump. The porters have instruction to pick up the oxygen cylinders put aside by you at the dump. Let us know developments as soon as you can. Hazard is off to the Base today! Hingston, Noel, & I are ready for any emergency. Do you want me up yet? I think I could manage to do a bit, though my heart is undoubtedly a bit �worky�. As the note is dated �Camp III, 5 June�, it must have been brought up by Hazard with the requested supplies the same day. The remark, �Hazard is off to the Base today�, refers to the original plan before Hazard was signalled to go back to C 4 in the morning of 5 June. Bruce�s remark about the condition of his heart refers to the after-effects of his load carrying efforts at C 5 during the attempt with Mallory on June 1st. Mallory & Irvine + 8 porters (Norton 4, p. 125; Norton 1 mentions at first only 5, later 9, pp. 222 & 232f.) from C 4 to C 5, start 8:40 a.m. (Norton 4, p. 125; no entry in C4 diary! ), using oxygen. Personal loads �consisted of the modified apparatus with two cylinders only and a few other small items such as wraps and a food ration for the day, amounting to not more than perhaps 25 lb.� Porters� loads are described as containing bedding, provisions and spare oxygen cylinders (Norton 4, p. 125). The first is anxious to go down to III & as he has done well I should be glad if you could let him go. The provision rucksack which he carries has been pretty well gone through by us. No wind here & things look hopeful. The fairly late returning time of the porters indicates that the going time of the party must have been comparable to the first attempt by Mallory & Bruce on June 1, when they set off from C 4 with 8 porters at 8:30 a.m. (Irvine, p. 109; C4 diary states 6:10 a.m., probably illegible writing meaning 8:10 a.m.) and 5 of the porters returned to C4 in the afternoon (Irvine, p. 109; Norton 4, p. 97). Norton 3 gives 5 hours 10 min as average time for the ascent from C 4 to C 5, based on 3 recorded ascents (presumably Norton & Somervell and 2x Odell, or 1x Odell and Mallory & Bruce) and 1 hours 35 min as average time for the descent, based on 2 recorded descents (presumably Norton & Somervell and Odell). If Mallory and Irvine�s party took an average of 5 hours to climb from C 4 to C 5, arriving there around 2 p.m., and assuming a more conservative 2 hours for the porters� descent to arrive back at C 4 soon after 5 p.m., this would result in a very plausible scenario of the porters staying at C 5 for about 1 hour before descending. In contrast, any assumption of a considerably faster climbing time by Mallory�s party would by default result in an unduly long stay of the porters at C 5, given that their late returning time is known. The significance of this for the reconstruction of Mallory & Irvine�s final climb will be further explained in the section dealing with the events of June 7 (see 3.). Hingston + 2 porters (Nima Tundrup, Chutin) up from C 3 to C 4 at 10:30 (Norton 4, p. 118; Odell states 9:45, ibid., p. 125; C3 diary states 5:30 a.m., probably illegible writing meaning 9:30 a.m.), guiding Norton down to C 3, assisted by Hazard as far as top of the ice chimney. Party arrives back at C 3 5 p.m. (Norton 4, p. 119; C3 diary states 4 p.m.). Weather that day: �Though a brilliant morning, it [was] very cloudy in the afternoon and even snowing a little in the evening.� (Norton 4, p. 125) No wind at C 5 (see Mallory�s note previous page). 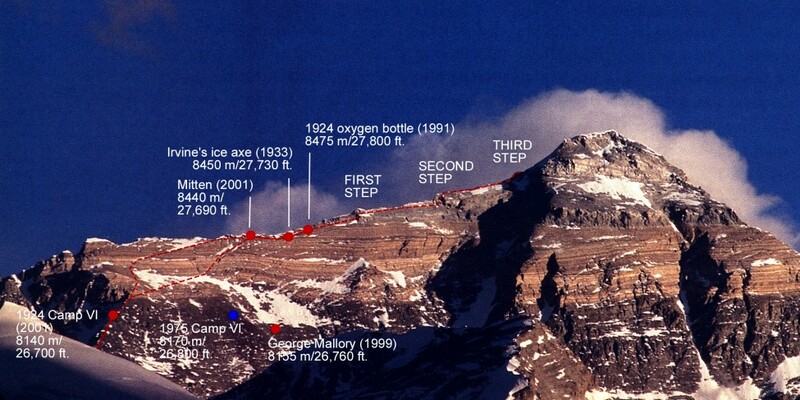 Mallory & Irvine + 4 porters from C 5 to C 6, �going exceedingly strong with oxygen� (Norton 1, p. 216, quoting porters). From comparison with previous ascent times and returning times of the porters (see below) Mallory & Irvine must have reached C 6 between noon and 1 p.m. at the latest. Odell + 2 porters from C 4 to C5, starting 10 a.m. (C4 diary; Norton 1, p. 222), on way up finds oxygen set without mouthpiece, carries it up to C 5 (Norton 4, p. 126; in this account, p. 127, Odell says that only one porter, Nima, had accompanied him; C4 diary also stated only 1 porter). His comment, �I had expected on my way up to Camp V to find a spare oxygen breathing set that had been left there earlier� (Norton 4, p. 126), indicates that it was not an abandoned set from Mallory & Irvine�s party, but from a climb before June 6th. As Mallory & Bruce�s party did not carry oxygen on June 1st, it could only have been the set Mallory & Odell had taken up when meeting Norton & Somervell on their return from the mountain on June 4th. We�ll probably start early to-morrow (8th) in order to have clear weather. We�re awfully sorry to have left things in such a mess � our Unna cooker rolled down the slope at the last moment. Be sure of getting back to IV to-morrow in time to evacuate before dark as I hope to. In the tent I must have left a compass � for the Lord�s sake rescue it, we are without. To here on 90 atmospheres for the 2 days � so we�ll probably go on 2 cylinders � but it�s a bloody load for climbing. Perfect weather for the job! In various sources it has been suggested that the place Mallory wanted Noel to start looking out for him & Irvine referred to the Second Step, and that Mallory & Irvine were therefore almost 5 hours late when last seen by Odell the next day. The first interpretation of the note in this way occurred already at C3 on June 7th, when an entry in the camp diary by Geoffrey Bruce states, �[The porters] brought a very optimistic note from Mallory saying that Noel should look out for them at the base of the final pyramid at 8 a.m. to-morrow� (emphasis added). Yet there is no indication in the note for this assumption. The note rather seems to indicate that Mallory had at this point not totally ruled out Norton�s route as an alternative to the ridge � so he couldn�t say whether he and Irvine would be traversing the Yellow Band (which eventually means crossing both rock bands below the final pyramid) or emerging atop the ridge crest by 8 a.m. (not p.m.) the next morning. Expecting an early start, say at 5 a.m., and using oxygen, it was not unreasonable for Mallory to assume he could reach the crest in 3 hours from C 6. Odell seems to have followed a similar way of thinking initially: �I was surprised [...] to see them so late at this, namely, 12.50, at a point that, according to Mallory�s schedule, should have been reached by 10 a.m. at latest.� (Odell, p. 268, emphasis added). This indicates that Odell, too, had read Mallory�s note to Noel as saying he and Irvine had intended to reach the crest of the ridge at 8 a.m., and Odell deduced they would then have reached the Second Step 2 hours later � again not unreasonable, given the scant knowledge at the time of the true difficulties of the ridge. In the official account, however, he assumes from Noel�s note that Mallory had hoped to reach the Second Step by 8 a.m. (Norton 4, p. 130). Odell�s comment on the loss of the stove: �[It was] an occurrence which meant cold supper and breakfast for me!� (Odell, p. 266). Not bringing a stove on his own indicates that Odell had expected to find one - Mallory & Irvine�s - at C 5. That Mallory & Irvine continued despite the loss of their stove in turn indicates that they had expected to find a second stove � Norton & Somervell�s � at C 6. In the context of the previous timings, it now becomes obvious that the consumption of 90 Atm. (400 liters) of oxygen in two days clearly could not have meant they had used it continuously. Used at 1.5 l/min, the supply would have lasted 4 h 25 min for the combined ascent from C 4 to C 6 or even less when used at a higher rate (see Holzel/Salkeld, p. 224). This would assume an unreasonably fast ascent time, even with oxygen, and is furthermore contradicted by the late returning times of the porters. To explain the latter otherwise, the porters would have to have spent a couple of hours at each of the camps, which seems unlikely. And, as a consequence of this combination, almost every oxygen cylinder would have been available on summit day. Judging Mallory & Irvine�s chances for a summit success depends to a large degree on the oxygen supply available to them. After deciding to make a further attempt with oxygen, Mallory & Irvine had climbed to C 4 on June 4, stopping en route to pick an unspecified number of oxygen cylinders from a dump (Irvine, p. 111). It is unknown how many bottles they had been carrying themselves � probably a total of 2 or 4. It is also unknown whether the two accompanying porters also carried an oxygen set and bottles. The bottles picked from the depot were carried to C 4 by five porters on June 5 (see C4 diary and note from G. Bruce quoted under 1.). Because of their weight and the restriction of a porter�s load, no porter should have carried more than 3 bottles, thus resulting in a total number of 15 or less. 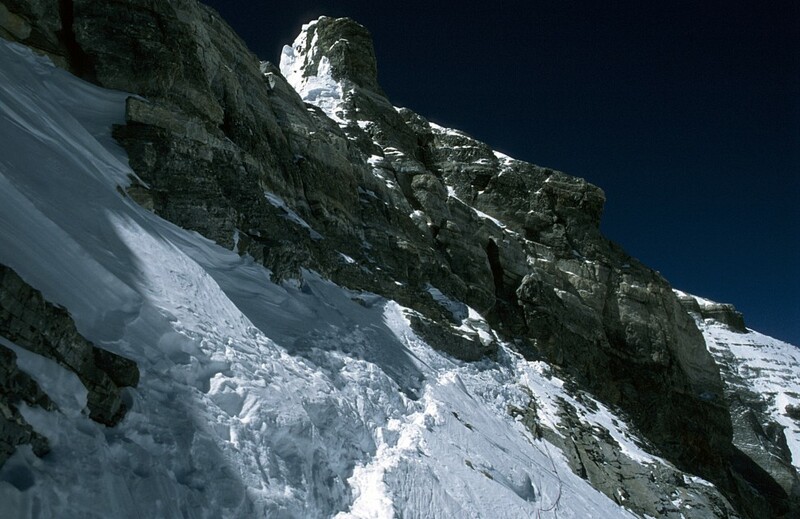 The last image taken of Mallory & Irvine leaving the North Col on June 6 shows both climbers carrying oxygen apparatus. Odell wrote that both carried 2 bottles each, although in Mallory�s case only one bottle is clearly discernible. Porters� loads are described as containing bedding, provisions and spare oxygen cylinders (Norton 4, p. 125). This is confirmed by another note found on Mallory�s body in 1999. Among the listed items are 6 bottles of oxygen. Four (4) porters accompanied Mallory & Irvine on their climb from C 5 to C 6 on June 7. Above C 4, a porter�s load was restricted to 9 kg (20 lbs. ; see Norton 4, p. 102) � so none of the porters probably carried more than 2 bottles (16 lbs.). The carrying capacity of the party thus approximates the load listed on Mallory�s note: 3 porters for 6 bottles of oxygen plus 1 porter for provisions and other equipment from C 5. At most the porters could have carried a total 8 bottles, leaving 16 lbs. for additional equipment and provisions. The key points of Mallory�s plan, as discussed with Norton (see 3.2) had thus been accomplished: The porters had carried a maximum number of oxygen cylinders to C 6 � 6 or perhaps even 8 -, and Mallory & Irvine had used �practically no oxygen up to Canp VI� � � of one bottle each. As Mallory & Irvine had carried 3 or 4 bottles themselves, this would have added 1 or 2 more to the total supply at C 6. A total supply of 8 to 10 bottles would have been sufficient for a full-scale oxygen attempt at the summit, using 3 cylinders per climber. Even then, they would still have had 1 bottle each for sleeping and perhaps also replacements for leaking cylinders. To this date, we know approximately how many oxygen bottles had been available to Mallory & Irvine prior to their summit bid. Mallory�s note to Odell indicated how many bottles they �probably� used. We don�t know yet how many oxygen bottles Mallory & Irvine ended up using. 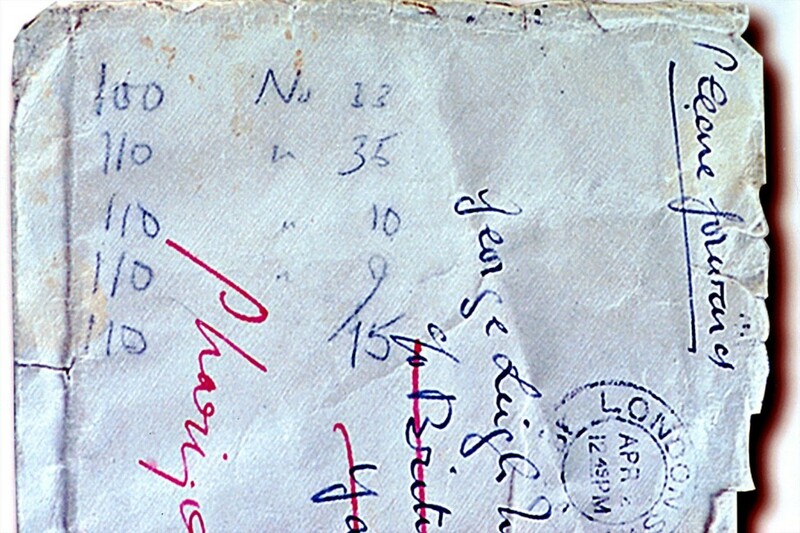 However, at one point during the ascent to C 6 Mallory wrote down the numbers and corresponding filling pressures of five (5) bottles on a letter envelope, which was found with his body in 1999 (see Mallory�s oxygen notes on the envelope, © Mallory & Irvine Research Expedition; from �Ghosts of Everest�, p. 162). The notes would have shown him how long each bottle was to last. Five bottles is probably too small a number to refer to the supply picked from the dump at the base of the North Col on June 4. The number also doesn�t correspond to the later porters� load of six (6). Perhaps it is also of significance that Mallory wrote down this important data on the envelope of a personal letter he carried with him � and not, like his other notes, on a page of his diary. Did Mallory opt for a compromise on summit day and had Irvine carry 3 bottles, while he took just 2 as indicated in his note to Odell? 4.1. 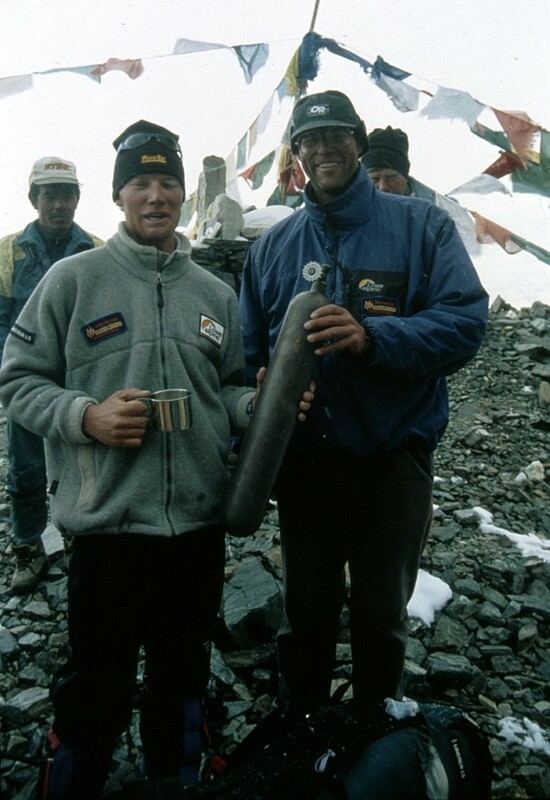 Mallory & Irvine�s ascent to 8500 m/28,000 ft.
Norton & Somervell had originally planned to set off from C 6 at 5:30 a.m. and would probably have done so if they hadn�t been delayed by their need to replace the liquid from a leaking thermos. The two eventually left Camp VI at 6:40 a.m.
None of the summit parties of the British pre-war expeditions managed to leave C 6 earlier than 5:30 a.m., in most cases due to the extreme cold before sunrise. Magnesium flares, a candle lantern and an electric torch later found at the 1924 C 6 strongly suggest that Mallory & Irvine started their climb after sunrise, when it was already light enough to see. They would not have been aided by moonlight, as the moon had already set before midnight. Sunrise had been at 4.45 a.m. that day. The only conclusion that can be drawn so far is that Mallory & Irvine are likely to have left Camp 6 for the summit sometime between 5 and 7 a.m. The most common interpretation of the traces is that one of them � oxygen bottle No. 9 � was left behind on the ascent, while the other two � Irvine�s ice-axe and an old woollen mitten presumably from 1924 � were left behind on the descent. Oxygen bottle No. 9 was first sighted by Eric Simonson in 1991 (probably along with a second bottle) and eventually recovered by Tap Richards on May 17, 1999 (see Tap Richards and Eric Simonson with oxygen bottle no. 9, © Jochen Hemmleb). 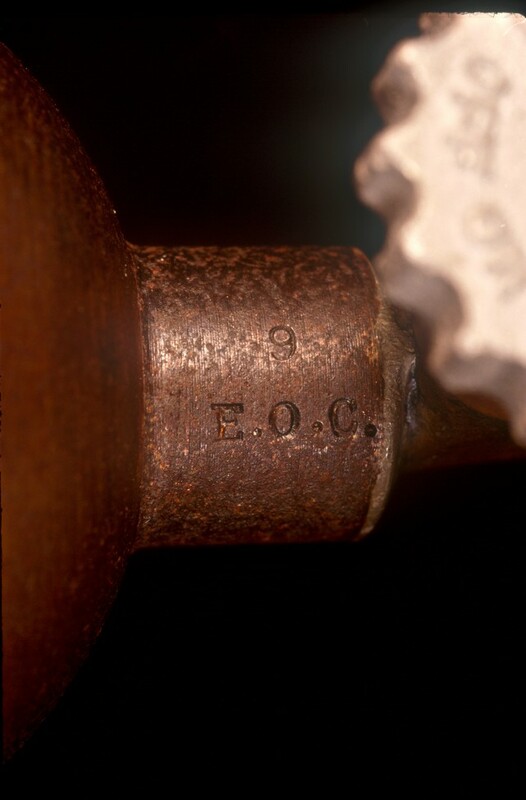 The unique valve assembly, shape, and size as well as a stamp �E.O.C.� (�Everest Oxygen Cylinder�) conclusively identified the bottle as stemming from the 1924 British Everest Expedition and therefore from Mallory and Irvine, the only climbing party that used oxygen (see The stamps on the valve stem, © Rick Reanier/Jochen Hemmleb). In addition, No. 9 appears as one of five oxygen bottles noted on a letter envelope found with Mallory�s body (see image 1). The location of the bottle has subsequently been established as being c. 170-180 m horizontally away from the top of the First Step (i.e. down the ridge, or to the NE), at an altitude of c. 8470-8475 m/27,790-27,806 ft. There is, however, some uncertainty about the exact location and circumstances of the bottle�s rediscovery. Dave Hahn appeared to recall seeing an old oxygen bottle sticking out of the snow below the exit from the Yellow Band during the ascent. A sherpa had picked up this bottle and later cached it higher up the ridge. From the testimonies of Hahn and Richards it isn�t entirely clear whether the bottle seen by Hahn on the ascent was the same later recovered by Richards on the descent � or if the bottle found by Richards was another, second, bottle. From the notes on the envelope found with Mallory, bottle No. 9 contained 110 atmospheres of oxygen, or 11/12 of the full content of 120 atmospheres. This equals a content of 490 litres of oxygen. The flow rate recommended by medical experts in 1924 for climbs above C 6 was between 2 and 2.5 litres per minute. In this case, bottle No. 9 would have lasted 196-245 minutes, or 3� - 4 hours, if used continuously. Assuming continuous oxygen usage at a constant flow rate, bottle No. 9 might indicate that Mallory and Irvine took between 3� - 4 hours to climb from C 6 (8140 m/26,707 ft.) to a point on the Northeast Ridge somewhere between c. 8420 m/27,626 ft. and 8475 m/27,806 ft. Given the many uncertainties in both the departure time from C 6 and the exact location of bottle No. 9, the most optimistic estimation is that Mallory and Irvine reached a point close to the base of the First Step around 8:30 a.m. (i.e. roughly in accordance with Mallory�s schedule, as written in his note to Noel) � but they could have arrived at this point considerably later. If the place where the bottle was recovered in 1999 does indeed mark the spot where it had been discarded in 1924, then bottle No. 9 is to this date the highest trace ever found of Mallory and Irvine. There is no further hard evidence about their ascent beyond this point. 4.2. Mallory & Irvine�s ascent beyond 8500 m/28,000 ft. They could have traversed along the top edge of the Yellow Band, thus bypassing the First Step low down. The experiences of later parties have shown that it becomes at least very difficult to regain the Northeast Ridge beyond the First Step, and that a party following this low line is almost certainly forced to traverse into the Great Couloir. They could have climbed the First Step either along the ridge or by the open gully in its northern face (i.e. today�s standard route) and continued along the ridge toward the Second Step. At 12:50 p.m., the two climbers were sighted by Noel Odell as they surmounted a prominent rock step on the upper Northeast Ridge (see Odell�s View � The summit ridge with the First, Second, and Third Steps, © Andy Politz; from �Ghosts of Everest�, p. 116). Odell�s famous sighting has been covered extensively in climbing literature (e.g. Detectives on Everest, pp. 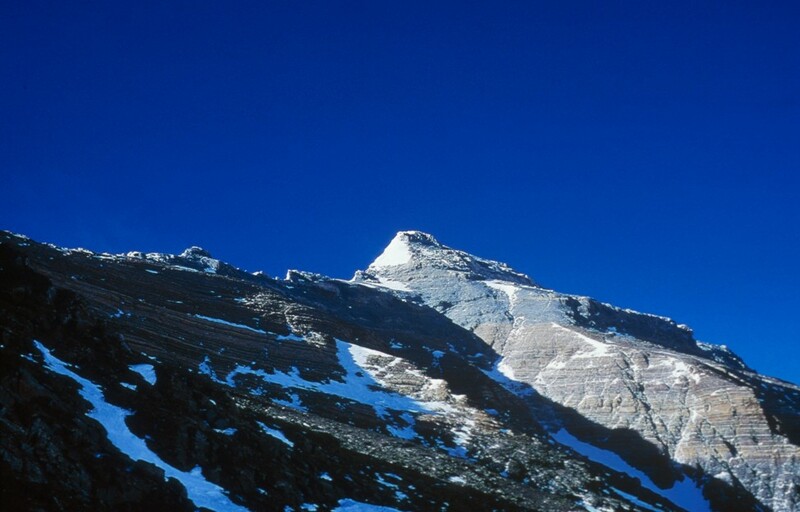 120-123, and Tatort Mount Everest, pp. 112-123), and the surrounding debate will not be repeated here. Odell saw Mallory & Irvine on the ascent. They had chosen the crest of the Northeast Ridge and were either climbing the First or Second Step (or even the Third Step) at 12:50 p.m.
Odell saw Mallory & Irvine on the descent. On the ascent they had bypassed the First Step low down and subsequently failed to either regain the ridge beyond the step or to cross the Great Couloir. On their retreat they had climbed the First Step for reconnaissance purposes, and were seen doing this at 12.:50 p.m.
With no hard evidence about the route they took beyond oxygen bottle No. 9, both theories carry equal weight. However, circumstantial evidence let me favour the interpretation that Mallory and Irvine were still on the way up when last seen by Odell � and they were not at the First Step. This strongly suggests a point at or above the Second Step. The topography described in Odell�s accounts doesn�t match the First Step. Odell described one of the climbers appearing on �top of the step�, while the true top of the First Step is never crossed when following any of the routes used to either bypass or climb the First Step. This last point is obviously the weakest, as the topography described in Odell�s accounts doesn�t fit the Second Step either. Odell described the climbers moving over a �snow patch�. 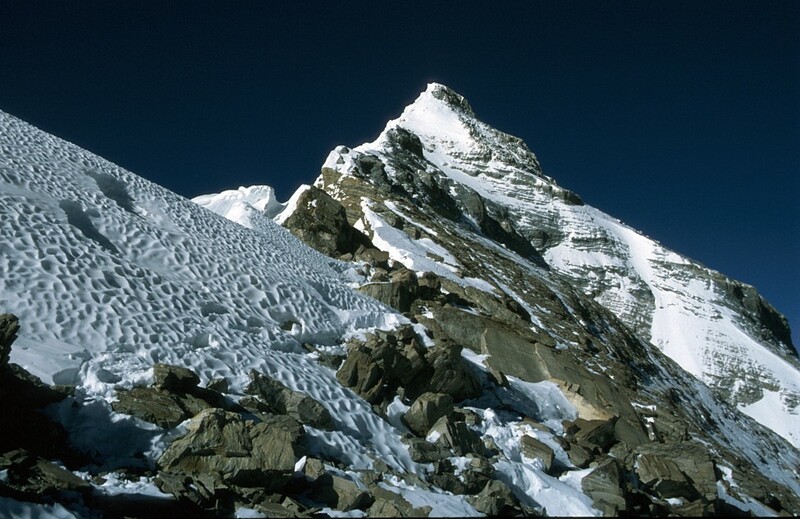 While there is a prominent snow patch at the base of the First Step, the patch at half height of the Second Step is comparatively small and in the shadows most of the day � not an obvious place to spot two climbers. Moreover, Odell�s accounts don�t indicate the climbers belaying or supporting each other, as one would expect on a pitch of such apparent difficulty as the Second Step. It was for these latter reasons that I considered it for a long time a possibility that Odell had seen Mallory and Irvine at the Third Step (something first proposed in 1981 by Walt Unsworth in his monograph Everest, p. 138), and after my personal observations of climbers on this feature in 1999 I am still struck how surprisingly well they matched Odell�s sighting (see Ghosts of Everest, p. 151, Detectives on Everest, p. 122, and Tatort Mount Everest, pp. 121ff.). However, my opinion has changed now. 4.3. Climbing the Second Step � Is the Mystery finally solved? By Catalan Oscar Cadiach in 1985, climbing on lead; by Austrian Theo Fritsche in 2001, climbing solo; by Russian Nickolay Totmjanin in 2003, exact style unknown; and by American Conrad Anker and Briton Leo Houlding in 2007, climbing as a roped party. 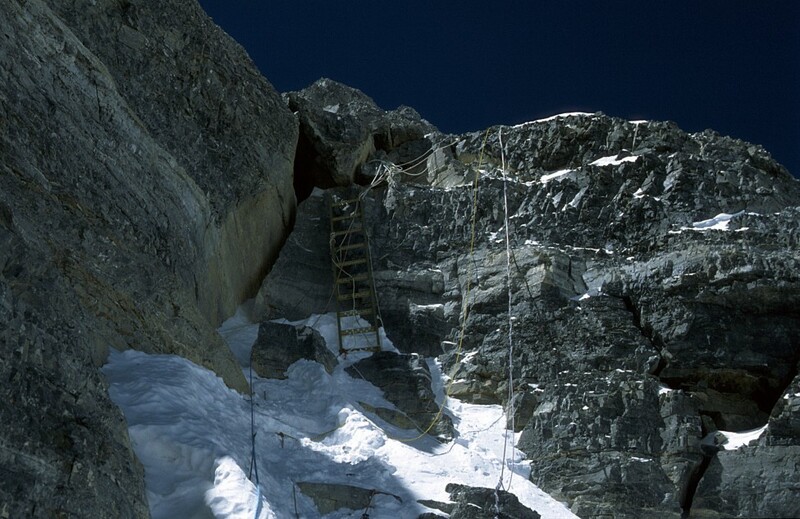 Only verbal testimonies exist as proof of the first three ascents (although Totmjanin probably had several eyewitnesses), while the fourth ascent by Anker & Houlding has been extensively covered on film and still photographs. Cadiach rated the headwall crux pitch UIAA V+ (5.7-5.8); Fritsche between IV+ and V- (5.6), with the last moves probably in the V+ (5.7-5.8) range; Conrad Anker is on record with ratings between 5.8 and 5.10 (V+-VI+), while Leo Houlding, after seconding the pitch, rated it 5.9 (VI). No rating is documented from Totmjanin. Every climber who succeeded in a free ascent of the Second Step was afterwards optimistic about Mallory & Irvine�s ability to have overcome the pitch in 1924. Tempting as this might be, these opinions can hardly be considered �evidence� � they only show that the five climbers in question were able to climb the Second Step under similar conditions as in 1924. Final proof for a successful ascent by Mallory & Irvine can only come through the discovery of conclusive traces above the Second Step or a picture from one of their cameras showing the terrain above the step. In November 2010 I had the opportunity (together with two colleagues) to watch the movie The Wildest Dream, starring Conrad Anker and Leo Houlding, which features their free ascent of the Second Step. When we watched the respective sequences of the movie, we were unanimously surprised � almost shocked even � how deceptively easy the crux looks on film. The headwall pitch is just four or five moves long (which can also be deduced from a still image in the accompanying book, The Wildest Dream, between p. 152-153), has positive incut holds and might even be slightly less than vertical. Anker was able to do a no-hand rest before exiting onto the ledge at the top of the pitch. All in all, after watching Anker�s free-climb, it suddenly did no longer seem such a long shot that Odell had seen Mallory and Irvine climbing the Second Step headwall with �alacrity� and within the time of his sighting. In our reconstruction of the events of June 8, 1924, for the Austrian TV documentary Erster auf dem Everest (First atop Everest, first aired on December 30, 2010) we therefore had Mallory and Irvine successfully climb the Second Step. We backed this opinion with an idea first voiced in 1999 by British climber-cameraman Jim Curran and later expanded by author Charles Lind in his book, An Afterclap of Fate (p. 108). 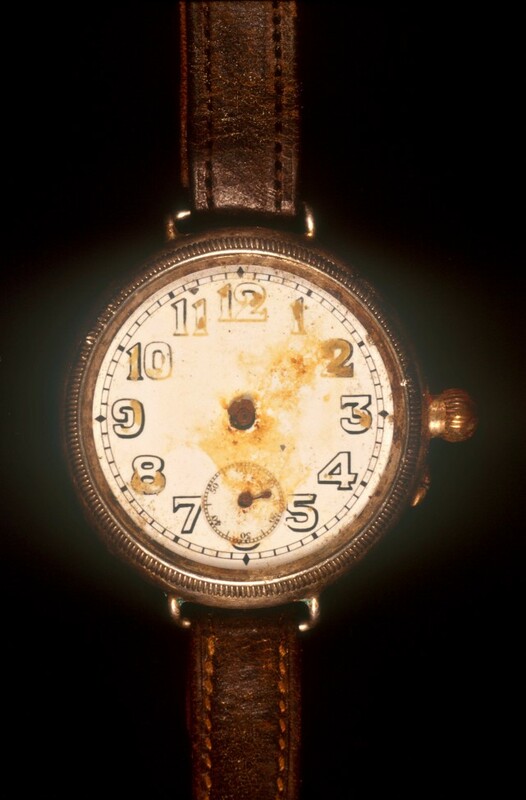 When combined with photos of the remnants of the hour hand (which were present at the time of the watch�s discovery), the broken-off stumps of the hands are demonstrated to point to 12.52 or 12.53 (see Mallory�s watch, © Rick Reanier/Jochen Hemmleb) � just about the time when Odell saw Mallory and Irvine climbing what he always believed had been the Second Step. If Mallory & Irvine had successfully overcome the Second Step at 1 p.m., they would have been approaching the Third Step by the time the storm hit one hour later. Adding to the problem would have been the fact that their second and probably last pair of oxygen bottles was now finished. A recent study of the weather situation in 1924 (Moore, K.G.W. et al., �Mallory and Irvine on Mount Everest: Did extreme weather play a role in their disappearance?�, Weather, vol 65, 8, August 2010) and interviews conducted with Austrian meteorologist, Karl �Charly� Gabl, for our documentary Erster auf dem Everest demonstrated that Mallory & Irvine were climbing into an approaching trough of low barometric pressure during their summit bid on June 8, 1924. Mallory and Irvine would have been sheltered from the wind during the initial part of their ascent while the trough approached from the SW, but would have been fully exposed when the wind turned direction with the passing of the trough. Besides worsening climbing conditions (increased wind, precipitation, drop in temperature), the trough also led to a significant drop in barometric pressure, which would have compounded Mallory & Irvine�s hypoxic state after their oxygen supply had run out. However, given what is now known after years of research, three expeditions, and the recent production of the documentary Erster auf dem Everest I do not �believe� that Mallory & Irvine (or one of them) climbed Mount Everest in 1924. Mallory & Irvine had been higher than the Second Step (i.e. at the Third Step) when last seen by Odell at 12:50 p.m. Confirmation of the discoveries of Chinese climber Xu Jing and Sherpa Chhiring Dorje, who both claim to have seen a body that is likely to be Andrew Irvine high on the Northeast Ridge (probably in the vicinity of the twin rock towers at 8440 m/27,690 ft.) in 1960 and 1995, respectively. This also remains the last realistic chance of finding one of the climbers� cameras. Both tasks need to be completed to gain the most comprehensive picture of what truly happened during Mallory & Irvine�s last climb on June 8, 1924.